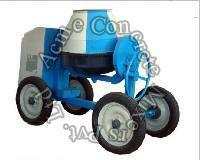 We are known extensively as one of the prestigious manufacturers and suppliers of Concrete Mixers based in India. The excellent performing Concrete Mixers manufactured by us are used in construction industry. Their Sturdy construction and outstanding performance have gained appreciation from the valuable clients. The availability of heavy duty Concrete Mixers at affordable market price has delighted the customers. With meticulousness, hard work and commitment, our organization has developed in order to become a reputed trader in Hyderabad(India). Quality control is a huge part of our company and we make sure, all our products are quality assured and trustworthy. 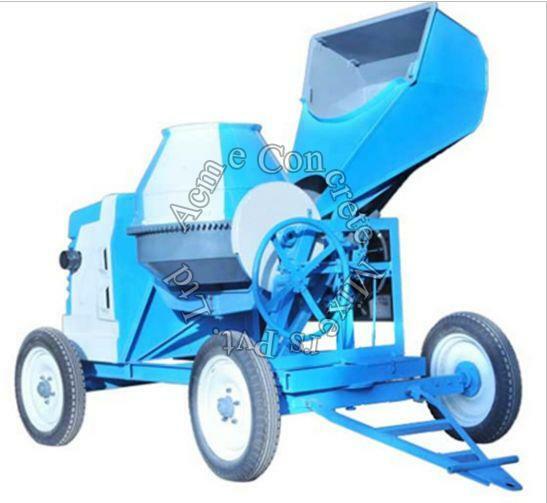 The Concrete Mixer is offered in the category of 200 litres capacity. 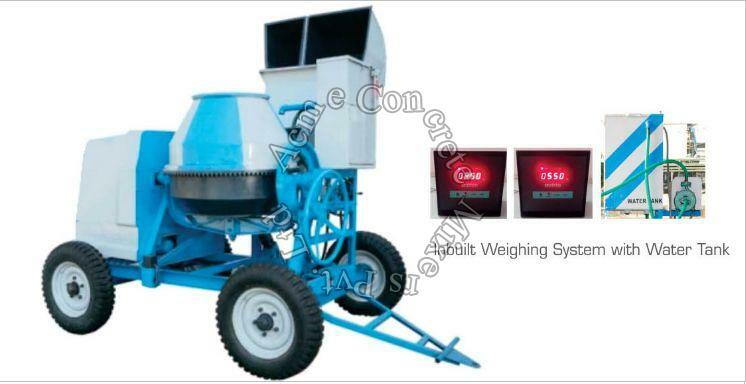 The inbuilt digital weighing system makes this a unique product, giving perfect mixture every time. Power - 5 HP (3.7 KW) Electrical Motor. Heavy Duty Drum with Bearing and MS blades.